Bubalus, the official newsletter of the Department of Agriculture-Philippine Carabao Center (DA-PCC) won the Binhi Award’s “Agricultural Newsletter of the Year” given by the Philippine Agricultural Journalists, Inc. (PAJ) on March 28 at the Makati Diamond Residences Hotel in Makati City. The Binhi Award, an annual contest sponsored by San Miguel Corporation, is a prestigious recognition for journalism in agriculture. “Since 1978 the PAJ has been conducting the Binhi Award to recognize the efforts and outstanding body of works of media persons covering the agriculture, environment and agrarian reform beats, including writers, editors and broadcast journalists for their reportage, agricultural publications, radio and television programs, and information campaign,” Noel Reyes, PAJ vice president for external affairs and chairman of the 2018 PAJ-SMC Binhi Awards committee, said. Bubalus (taken from a generic name of bovines where the water buffaloes belong), managed by the PCC’s Applied Communication Section-Knowledge Management Division (ACS-KMD), is a quarterly publication of PCC with nationwide circulation. The said publication, launched by PCC only last year, is written in English and covers industry news and feature stories that are informative, timely, relevant, and engaging which are manifestations of the Carabao Development Program’s (CDP) present-day realities. It also features stories related to the CDP’s major components, which include genetic improvement, research for development, and enterprise development. The stories are mostly experiences of farmers and other players in the carabao industry value chain showcasing their achievements. Bubalus is edited by KMD chief Dr. Eric Palacpac, managed by ACS-KMD head Rowena Bumanlag and issue managed by Ma. Cecilia Irang. The ACS-KMD writers Charlene Joanino, Ma. Cecilia Irang, Khrizie Evert Padre, Chrissalyn Marcelo, and Charlene Corpuz are regular contributors. The PAJ also honored PCC’s Editorial Consultant and Philippine Daily Inquirer Correspondent Dr. Anselmo Roque for his lifetime achievement and excellence in agricultural journalism. According to newly-elected PAJ President Alfred Gabot, the 2018-PAJ-SMC Binhi awards featured three major categories (Agricultural Journalist, Agri Beat Reporter, and Environment Journalist of the Year) and 12 minor categories (Agricultural Magazine, Agricultural Newsletter, Agricultural Section of National Newspaper, Best Climate Change Story, Best Environment Story, Agri Regional Television Program, Agri National Radio Program, Agri Regional Radio Program, Agri Information and Media Campaign, Agri Photo Journalist, Best Agri News Story, and Best Agri Feature Story of the Year). Meanwhile, Agriculture Secretary Emmanuel Piñol, who was the guest of honor and keynote speaker, underscored in his speech the importance of establishing a solid foundation of agriculture and innovations to withstand climate change. This is in view of the challenges posed by the weather forecast of El Niño and its possible effect in the country’s agriculture industry. “There is a more pressing issue that everybody must focus on. How sustainable would our agriculture be given the reality that right now we would be facing a water crisis? We have to act now. We have to help one another so that a disaster which looms ahead of us, maybe 10 or 15 years from now, is not going to happen,” Sec. Piñol said. He said the government is proposing several recommendations and has taken on interventions in preparation for the El Niño forecast, which include: identification and protection of headwaters in the country; reforestation of mountains; building of small water impounding and catchment systems; and implementation of the solar power irrigation system and other sustainable irrigation systems. The DA chief, along with PAJ President Gabot and former Agriculture Secretary Senen C. Bacani, chairman of the Board of Judges, handed over the cash prizes and trophies to the winners. 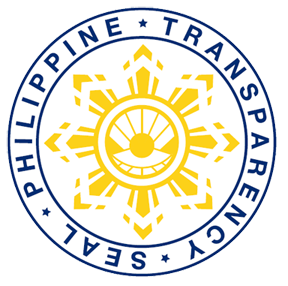 Other members of the Board of Judges were Bangko Sentral ng Pilipinas Monetary Board Member Bruce Tolentino, veteran journalist and educator Dr. Crispin Maslog; SMC AVP for corporate and media affairs Mary Jane Llanes Oconer; and broadcast journalist and former party-list representative Angelo Palmones.